My dear friend, Joy Henson, featured me on her blog. She is the Editor for the 393 Magazine in Meridian, MS, & the 393 is featuring me in the Feb/Mar issue! Click the link to Joy's blog for a preview of the story! Confessions from a Southern Socialite: Saving them... one dog at a time: "Allow me to introduce you to a person who is truly making the world a better place. She hasn't found a cure for cancer or been able to..."
Daisy has lived an insanely tough life. She’s never had a home to call her own. She's never known a life without neglect. She's never known love, in any way. At some point, Daisy ended up in a Mississippi pound... where she was placed on the euthanasia list for 1.24.11. At that point.. death... seemed to be her only future. from the moment I saw her face, my goal was to save her life. Today... I call her "Daisy." But that's simply the name I gave her. In truth, this dog had never even had a name of her own. When she arrived at the pound, she was simply given a number. So, before I'd even saved her... I decided: she needs a name. Then... the name “Daisy” ... simply came to me. Honestly... I'd never been more sure of a name... though, I wasn't quite sure why. 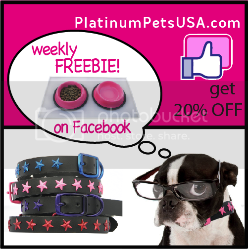 Shortly thereafter, I posted Daisy's photo and information on my fb app, Pet Pardons. Pet Pardons is an incredible tool, which allows users to post real pets in real shelters, in hopes of granting them a “pardon” ... by finding someone who will foster or adopt them, before their time runs out. That day... I added Daisy to Pet Pardons, and I prayed for her safety. A woman named Amy... saw Daisy on Pet Pardons. Last year, Amy & her husband lost their own special dog, Allie. They were devasted. They wanted one who looked just like their Allie. When that time came... their plan was to name their new pup Daisy... after Amy’s favorite flower. And she already had the right name. So, on a whim, Amy contacted me. Her family was still heartbroken over Allie’s loss, so she honestly wasn't sure if they were ready to adopt again. But even still... Amy couldn’t get Daisy off her mind... so, she asked me for more information about her. I told her about Daisy’s beautiful spirit.. and how I was desperately trying to save her life. Next, I asked Amy to take some time... to discuss this decision with her family... so they could be sure that Daisy was right for them. Well... without my knowing... that was all that Amy needed to hear. In that moment, Amy could feel God speaking to her. Just like that... Amy’s family made the decision to adopt. So... on the day of her scheduled euthanasia, I was able to call the pound ... to save Daisy’s life. She was pulled into Lucky Dog Rescue. And today... Daisy went home... for the first time in her life. Amy's family was so overjoyed to meet their new “daughter,” and it was an incredible experience for me to witness... knowing that Daisy was finally safe. Days like today... are honestly what I live for. To know... that I gave that to her. If your family is looking for a pet, please adopt a dog or cat from a rescue group or shelter. Not only will you save a life... but I promise—they will save you. Just ask Amy... and Daisy. Lucky’s former owners made the cruel decision to cut-off his ears... with a pair of household scissors. He also suffered a severely broken leg... that was never treated... causing immense, permanent damage to his front, right limb. He can no longer use that leg. Basically... Lucky has no ears... and only 3 legs... due to insane neglect. That's what animal cruelty looks like. 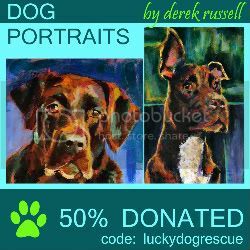 Then, one day... Lucky was dumped like trash at the pound in Louisville, MS, where he was immediately placed on the euthanasia list for 1.27.11. Keep in mind: that's rarely the case for the vast majority of dogs in city/county animal shelters. Most dogs aren't "in Heaven" at the pound. It's rarely a "step-up" for most pets. But sadly... for Lucky... it was. As Lisa watched Lucky... smiling... rolling in the grass... she just couldn’t bear to see him die. Yet... that was his fate. So... Lisa contacted every possible rescue group she knew... hoping that someone, somewhere, would be willing to save this boy. And yet... no one would help her. At the same time, Lisa knew that I would help. She knows where my heart is. She knows that I take the dogs... no one else will take. She knows that I'd do anything... for a special dog like Lucky. But... she also knew how overwhelmed I was... with all the dogs I had in my care. So... she tried asking everyone one else she could think of... first. Even still... she knew... I could --and would-- help this dog. So finally, she contacted me. Lisa has often called me “the buck stopper" ...because she says I’m the person you call... when you want something to happen. The words, “I’ll take him!” came out of my mouth. I’m not gonna lie... I was kinda shocked to hear myself say this. Not because I didn’t want to save him… I wanted that more than anything. But... in doing so, I completely disregarded the fact that I had no more space for rescue dogs. I guess I also forgot... that I had no more money for rescue dogs. Pretty much: the rational-decision-making-process... never took place here. The only thing I could think about... was Lucky. This precious soul, who has been tortured his entire life. So... long story short... I agreed to rescue Lucky (who had no name at this point), because he deserved it. I didn’t consider anything else. I didn’t consider myself; I didn't consider the space I had; I didn't consider the money I had. Nothing. Quite simply... I wanted Lucky to know love before leaving this earth. He's never had that before. Ever. I named him "Lucky" for obvious reasons: Earlier in life, Lucky's ears were painfully removed... with a rusty old pair of old scissors. Then, his severely broken leg... was never repaired... and today... he has no functional use of that limb. He was scheduled to die..
Lucky has suffered a lifetime of abuse & neglect... nearing death at every turn. Be positive. That’s what I’m trying to do. It’s hard sometimes… to see the good. Because there's just so much bad. Everywhere. There are chained dogs with no shelter—starving & freezing to death. Pit bulls fighting each other for their lives. Puppy mills breeding dogs in deplorable conditions... while millions of others die in shelters every year, due to the pet overpopulation. I look around, & this is what I see. I witness these truths. Every single day. I remember the lives saved. I think about the undying hope in a wounded dog’s eyes… and the incredible experience of watching that hope turn to joy… the joy of finally being safe, happy, & loved. I think about the amazing gift I'm given each time I witness a dog being adopted by their new forever family. For many, this is the first time in their life that they've ever truly been home. 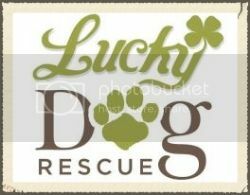 And what really touches my heart, is that some of my former foster dogs will make a trip to visit me at my business, a boarding kennel named Lucky Dog Retreat. I want to share the story of one such dog. An amazing boy named Bear. Last summer, my friend Mary Ann called me about a dog named Bear who needed my help. Bear’s family had chained him up for much of his life with little attention, and now they were simply tired of dealing with him. Their plan was to dump him at a local dumpster... & drive away... without him. Just before they dumped him, Mary Ann begged the family to let me help them. Then, she called me. As Mary Ann shared this information with me, my heart broke to pieces. I pictured Bear... in the moment he'd be dumped like trash, by the family who promised to love him forever. I saw him alone, afraid, and confused... chasing after the family... who left him for dead. The only family he'd ever known... the only family he'd ever wanted... the only family he'd ever loved. The family... who was never coming back for him. My own special dog, Rudy, had just passed away days before, & I wasn’t quite ready to take in another foster dog... due to my heartbreak. But... Bear needed me. And it turns out, I needed him, too. That day, I rescued Bear from his sad situation. But in truth, he's the one who rescued me. 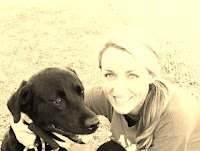 I was completely broken when Bear came to me, and Bear helped me deal with the pain... like no one else ever could. He'll never know how much he meant to me during that time. He'll never know that he's the one who really saved me. He'll never know... that I'm the lucky one. t turns out... my childhood babysitter had recently lost her dog, Jake. She saw my pictures of Bear on facebook, & she instantly fell in love with him. Finally... Bear was going home. Bear was adopted by the Sims family last September. It was the happiest day of his life. And this past Sunday, Bear-Bear came to visit me at Lucky Dog Retreat. I can’t even describe the joy I feel when I see one of my old foster babies living their new life. Happy. Healthy. Loved. Adored. Cherished. It’s unlike any other feeling in the world. Even though I miss him deeply... in my heart, I know that Bear is exactly where he was always meant to be. God just asked me to get him there. Tonight, I'm just writing from my heart. I don’t have one particular topic to blog about, but it’s just been one of those days... where I need to say how I feel. I rescue animals. I think that’s pretty apparent... to anyone who comes in contact with me. It doesn’t take a genius to figure out that I love dogs, & all animals. I want to help them --all of them, in every way that I can. But… I'm just one person. One girl, trying to save the world. And sometimes, that wears on your heart. Your relationships suffer. Your health suffers. Your overall well-being isn't that great..
Because... you rarely put yourself first. But for me, it’s all worth it. I'm incapable of NOT being this way. It’s what makes me… me. But I guess the frustration comes in, when—day after day—you see these things happening, & you're one of few... working to put an end to the suffering. The state of Mississippi is the worst-of-the-worst when it comes to animal cruelty. And that's not just my personal opinion. And he'll tell you the same... about my state. Things are bad here. Things need to change here. People need to CARE that this is happening. Soo... when I share a heartbreaking story about a dog in a horrible situation here, I'm not trying to offend or upset people. Honestly... I’m not. I'm simply sharing... to make people aware that these things are happening. They're happening in my state... and likely... in your state, too. I want people to know what’s going on. I want them to know the truth… so they can get angry. Angry enough to say, NO MORE. This has to stop. I want to inspire people to get involved... to make a difference. In ANY way that you can. Every person is capable of making a difference in the world, but... in order to make this happen... you have to ACT. All I ask, is that people do what they can to help. Whatever that "help" may be. Well… okay, I just won’t go there. But every little bit helps, & every action towards change helps to change the world. And change can start... NOW! Change can start... with YOU! Chrissy Cheshire & I have launched a Double City-Wide Dog House Drive for the Jackson, MS & Meridian, MS areas. We are asking for donations of dog houses, hay, blankets, dog food, & dog bowls (& of course, monetary donations are welcome). In Mississippi, there are SO many dogs left outside with no shelter from the cold. It is truly heartbreaking, and far too often, law enforcement & Animal Control do NOTHING to help these dogs (despite the fact that neglecting to provide shelter for your pets is completely illegal). So Chrissy & I decided to launch this effort in each of our areas to provide some warmth for these dogs this winter. Welcome To My Rescue Blog! My name is Ashley, and I'm an animal rescuer. It's truly the reason I was put on this Earth. As a little girl, I'd bring home every stray dog and cat in sight. Nurture them. Find them homes. Back then... I remember how heartbroken I was... the first time I realized that not everyone was like me. As I get older... I realize just how few people actually are like me. It’s difficult to explain the way I feel... to someone who doesn’t share my passion. Most people will admit that it's painful for them to witness a case of animal cruelty. However... most people are able to see a dog in need, resolve to themselves that they cannot help the dog, and go about their lives as if they never saw the dog in the first place. The image of that dog will slowly eat away at my soul. I have nightmares about the dogs I cannot reach. I'm not the kind of person who can just look away. When others turn their heads, I look harder... and take action. I see the world for what it is, and I fight against it. I don’t live in my own bubble... where I think everything is okay. I know that things aren't okay... but I do everything in my power to change that. I'm a voice for those who cannot speak... and I'm a voice to be reckoned with. The animals need me. In most cases, I'm their only hope. But... when I think I can’t go on... when I think I just can’t do it any more, I look at the dogs. I look at these precious souls... living a life they never knew was possible. I look at their capacity for forgiveness--which far exceeds that of any human. My rescue dogs have experienced the worst the world has to offer. Most of them have been chained, beaten, and starved for much of their lives. Before me, they'd never encountered kindness on any level. But when I look at them today... I see no trace of anger. It's truly the most incredible thing I have ever witnessed. The pain associated with animal rescue doesn’t even come close to the joy it's brought into my life. My heartbreak is healed daily by the love of those I've saved. They remind me that there's more to the world than my selfish needs. They make me smile, and laugh, and feel ever-so comforted by the unconditional love they give me. And with each that I save... my faith is strengthened. I'm not rescuing them. They are rescuing me.